When utilising Marketing Cloud's Tokenized Sending feature, when a response is sent to the Marketing Cloud for unresolved tokens, and a Message property is not provided, the Marketing Cloud will error the send stating a Null value has been provided that is required. 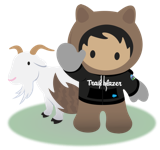 Return a Tokenized Send call with a response that has no Message property in the Unresolved Tokens array. Always provide the message property in the UnresolvedTokens array, even though the API Specification states this is not required.